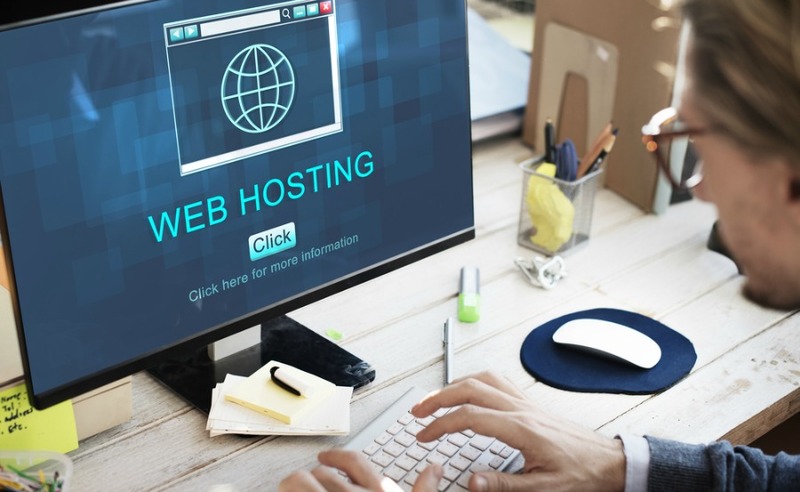 Finding your way around the web hosting market can be incredibly confusing – especially if you’re looking for a solution for your e-commerce website. Do you go with a self-hosted platform that gives you more control over your site or opt for a hosted platform and not worry about looking for a web host? And if you go the self-hosted route, should you sign up for a shared hosting plan or go for a virtual private server (VPS) or dedicated server instead? In this post, we’ll discuss the different options that are available to you for hosting your e-commerce site. We’ll start off by comparing and contrasting self-hosted and hosted e-commerce platforms and help you decide which one’s right for you. Next, we’ll outline the features you should look for in a self-hosted solution and briefly go over their minimum technical requirements. Finally, we’ll wrap up with a section on how to select a self-hosting plan for your online store. E-Commerce platforms like Magento and Shopify can be classified into two main categories – self-hosted and hosted. Simply put, self-hosted e-commerce solutions give you a lot of control over your online business and you’re free to customize your store the way you want to. These include all of the open-source platforms that require web hosting to function. When you opt for a self-hosted e-commerce solution, you first have to purchase a hosting package and then install your software on it. Some examples of self-hosted e-commerce solutions include: Magento, WooCommerce, and Zen Cart. On the other hand, hosted e-commerce solutions are, as their name suggests, are sold as a service which includes hosting. What this means is that they’re already hosted on a server and you don’t have to worry about looking for a hosting plan. The hosted solution providers take care of site maintenance responsibilities like keeping your site updated, installing security patches, and staying up-to-date with the latest features for you. Some examples of hosted e-commerce solutions include: Shopify, BigCommerce, and Volusion. So, would your business benefit from a self-hosted solution or a hosted solution? With a self-hosted solution, you can expect to manage everything from your site’s hosting plans to general, day-to-day upkeep on your own. Depending upon how large your store is and how many team members you have on board, you will need a sizeable budget on hand just to get everything up and running. And for this reason, self-hosted e-commerce platforms are better suited to businesses that have their own IT staff, or can afford to outsource this to a reliable provider. With a hosted solution, you don’t have to purchase your own hosting package, install software on it, or worry about site maintenance or security. All of this is already taken care of for you. The downside to this is that you generally don’t have as much control over your online store as you would have if you had gone for a self-hosted solution. A hosted solution is ideal for new ecommerce sites, or small teams without a great deal of web development experience. It should be noted that you can started with a hosted solution and change to a self-hosted solution in the future if you decide you are ready to take on that responsibility in return for the added flexibility. Opting for a self-hosted platform will always give you more control over your online store, the freedom to customize it however you want, and complete ownership of your site. But before we get into the details of how to select a suitable hosting plan for your online store, let’s quickly take a look at the features you should look for in a self-hosted e-commerce platform. What Features Should You Look for in a Self-Hosted E-Commerce Solution? Selecting a self-hosted e-commerce platform for your digital retail business can be a daunting task. One way to narrow down the options available to you is to determine which features you’re looking for and seeing which platforms offer them. Payment Processors: Which payment processors do you intend on offering to your customers? Are they included out of the box with the e-commerce platform? Marketing Campaigns: Will you be running marketing campaigns such as promotional discounts, coupons, deals, and special offers? Are the tools you need to this available from the get-go? Integration: Does the e-commerce platform integrate with the tools you’ll be using to manage your store’s email marketing, accounting, etc.? Mobile-Responsive: Your online store will need to cater to mobile users. Is the e-commerce platform optimized for mobile? It’s important to note that some self-hosted platforms offer advanced features at an additional cost. They’ll either be made available as a paid add-on or a premium service that you can choose to opt-in for. What Are the Minimum Technical Requirements for Self-Hosted Solutions? In this section, we’ll explore the minimum technical server requirements you need to meet before you can install the self-hosted e-commerce solution of your choice to a hosting server. There are a number of factors that set e-commerce hosting apart from traditional website hosting. Most of these key differences have to do with the features included in the hosting plan. The first step, however, is to decide what type of hosting plan you’re looking for – shared, VPS, or dedicated. With shared hosting, your e-commerce website will share a server and its resources with several other websites. The shared resources include CPU usage, disk space, bandwidth, and, in some cases, an SSL certificate. What this means is that if one of the sites on your shared server use up 60% of the resources, all of the other sites are left with only 40% of the resources to share. Security vulnerabilities in one website on your shared server make it easier for hackers to attack your e-commerce site, too. A virtual private server (VPS) is a shared server that has been divided up into several smaller, virtual servers. These virtual servers are defined by virtualization software. The resources that each virtual server receives are pre-allocated and reserved for that server alone. So, even if someone on your physical server uses up a lot of the resources, it won’t impact the service you receive. If their server crashes, yours won’t. For this reason, VPS hosting is more secure than shared hosting. With dedicated hosting, you’re basically renting an entire server to host your e-commerce website on. Your website (or websites) is the only one that will be stored on the server and all the resources are yours to use. In terms of security, dedicated servers offer the highest security levels. Since you’re the only one who’ll be using the server, the risk of hacking attempts and server attacks are minimized. Technical support offered by hosting companies is often divided into multiple tiers or support levels. Support Level 0 includes the wikis, FAQs, and knowledge bases that enable users to search for and resolve issues on their own. Support Level 1 members are tasked with resolving easy issues and are usually the technicians that answer your call when you phone in for support. The Support Level 2 group typically consists of tech experts that have in-depth knowledge of the hosting server and its systems. You should always read up on a web host’s support team reviews on forums and various review sites, not the hosting provider’s own reviews which could be biased. This will help you: (1) assess the hosting provider’s different support levels, (2) help you understand what kind of support you can expect to receive from them, and (3) give you an idea of what support channels they offer with their hosting plans. Finding the right hosting plan for your e-commerce website isn’t easy. It’s important to take a step back and analyze your business and hosting needs before you set out looking for a web host. Are you looking for a self-hosted platform like Magento or a hosted one like Shopify? What features do you plan on offering to your customers through your online store? Which web hosting plans offer these features? Are they within your budget? Do you want to start out with a shared hosting plan or spring for a VPS/dedicated server right away? What hosting options are you considering for your e-commerce website? We’d love to hear from you so let us know by commenting below! Charles Coxhead is a digital marketer and web developer with years of experience building and hosting websites in the US, Australia and New Zealand. He maintains a comprehensive performance review of popular web hosting companies on his site WP Dev Shed.